It’s winter, the nights are getting darker and there is a certain expectant hum in the air: Christmas is on its way. 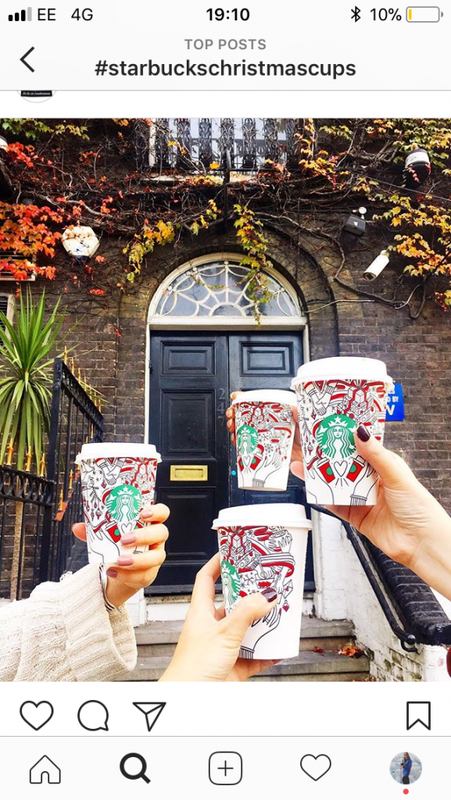 In my opinion, these festive mutterings crank up a notch with the release of Christmas coffee cups across the big brand chains. I’m not the only one who gets excited – my social media feeds are inundated with cute, artsy photographs of Christmas coffee cups, taken in a variety of locations, with an array of filters, many accompanied by comments of festive anticipation. The one thing that ruins all of this festive cheer for me is the issue of single-use plastic. Single-use coffee cups, including the festive ones, are fused with plastic to make them waterproof and working for Thames21 means I see London rivers blighted with plastic on a regular basis. Recently our volunteers counted and removed 4350 plastic bottles in just three hours from one spot. Couple that with food packaging responsible for 65 per cent of the waste surveyed through our Thames River Watch citizen science programme and you can’t help but feel the undeniable and urgent need to limit our plastic consumption. 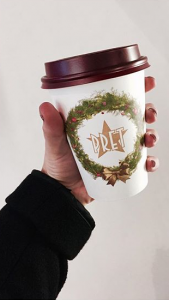 It’s made me think about just how many people purchase these single-use cups, in order to snap a charming photo of the Christmas design so they can join their friends in this bizarre new social media trend. Don’t get me wrong, I am a huge fan of these joyful festive designs and look forward to seeing the latest ones as much as anyone. But research shows that the UK’s need for coffee consumption (and tea) in these single-use plastic cups has reached an estimated 2.5bn cups a year. An astonishing number. That’s nearly 7 million cups a day with a mere 1 per cent of them actually being recycled. These figures are shocking, especially when you consider that this could all be avoided simply by opting for a reusable cup. 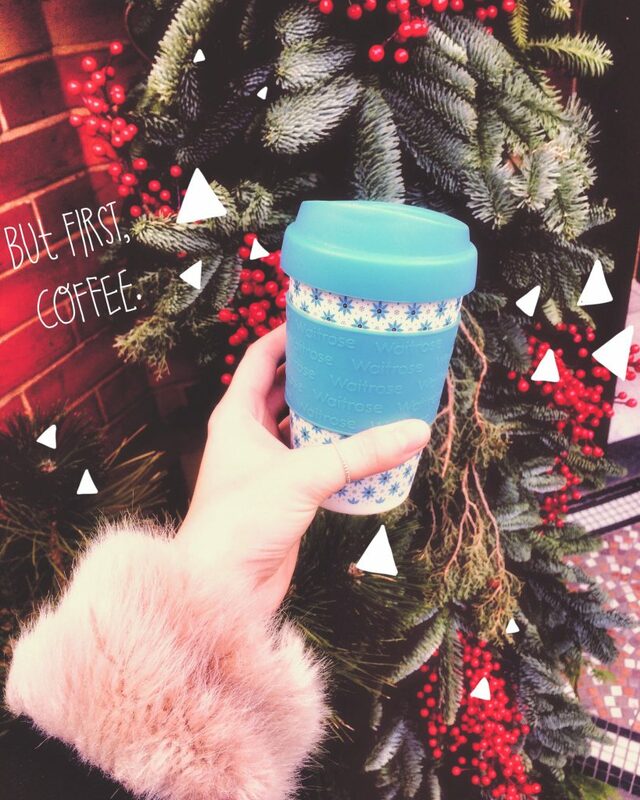 Some brands already sell reusable cups, which is a start, but why not extend it to the Christmas range? Can we not cheer and shout about a sturdy Rudolph-themed reusable cup as well? It shouldn’t be just the single users getting the chance to combine their caffeine hits with festive cheer. We environmentally conscious consumers want to celebrate Christmas, too! I have a tip for all you Christmas cup lovers: most big brand coffee chains will reward you for bringing your own reusable cup by giving a percentage off your hot beverage. Excellent news that gives you extra change for a sneaky mince pie to accompany your winter-spiced ginger-eggnog cookie latte! If you’re still looking for a reusable cup, or want to find the ideal gift for your coffee-loving friends, there’s plenty of choice out there. For some great examples, take a peek at KeepCup. 2015’s plastic carrier bag charge led to a massive reduction in plastic bag use and littering. Join the call to introduce a small charge on single use coffee cups to boost the reusable cup revolution. You can also sign the Marine Conservation Society petition urging retailers to stop giving out unnecessary plastic packaging. 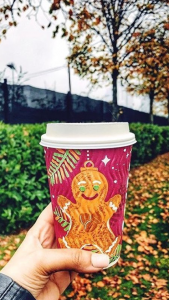 And if you already have a reusable cup, why not tweet or Instagram a picture in a festive setting and share it with those brands, asking them to stock a reusable Christmas cup in future? Remember folks, a Christmas cup should be for life, not just an Instagram photo!